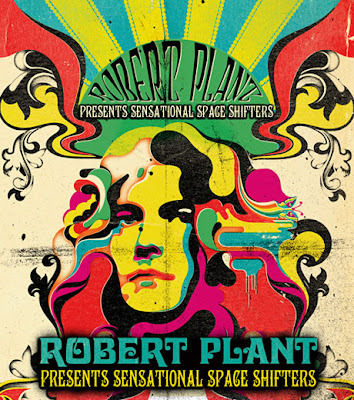 Robert Plant is sharing some live video in advance of his upcoming US tour with The Senational Space Shifters. Billed as “Robert Plant Presents the Sensational Space Shifters,” the shows kick off at the Palladium in Dallas, TX on June 20, with dates wrapping up July 27 in Brooklyn, NY’s Prospect Park. The band will be playing five festival dates, including Britt in Jacksonville, OR, High Sierra in Quincy, CA, Jambase in George, WA, Portland Blues in Portland, OR, and Forecastle in Louisville, KY. The Sensational Space Shifters include Justin Adams (guitar, bendir, vocals), John Baggott(keyboards), Juldeh Camara (ritti, kologo, talking drum, vocals), Billy Fuller (bass guitar, vocals), Dave Smith (drums and percussion) and Liam “Skin” Tyson (guitar, vocals). Plant and the band recently wrapped up a 3-week tour of Australia and New Zealand.